Syrian President Bashar al-Assad seconds Russia’s position in the Ukraine crisis, reported Syria’s state news agency SANA on Thursday. In a message addressed to Russian President Vladimir Putin, Assad expressed his solidarity, on behalf of the Syrian people, with Putin’s efforts to “restore security and stability in the friendly country of Ukraine”. 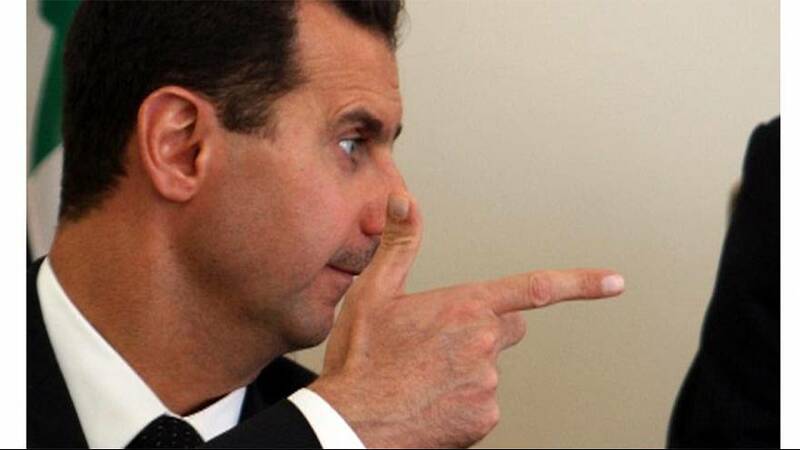 Assad stressed that Putin’s reaction to the crisis in Ukraine is legitimate and adheres to the UN’s objectives that aim “to create a balanced and transparent world based on respecting the sovereignty of countries and the right of peoples to decide their destiny,” reported SANA. Assad described the Russian leadership’s stance as a “wise policy” in the face of “coup attempts against legitimacy and democracy in favor of the terrorist extremists”. He reiterated Syria’s commitment to Putin’s “rational approach” which he described as supporting “the right and truth” and applauded Russia for “saving the world from dangerous events”. Assad’s announcement follows Putin’s press conference in Moscow on Tuesday, in which he also disregarded the movement in Ukraine as an “unconstitutional coup” brokered by foreign players. Putin told reporters that any intervention in Crimea is a fully legitimate and legal response that aims to protect the Russian-speaking inhabitants from the illegal actions of the interim government in Kyiv. Russia, along with Hezbollah members in Iran and Lebanon, has been supporting Assad with weapons in his battle with the armed opposition in Syria. More than 140,000 people have been killed and millions have fled the Syrian territories since March 2011, according to the BBC.